mechanical royalties - Erin M. Jacobson, Esq. There are several potential musician income streams that you’ll unfortunately never see if you don’t set yourself up to collect them. More established musicians have the same responsibility, but often have representatives taking care of these procedures for them, whereas independent musicians have to oversee royalty collection themselves. This means that many independent musicians are losing out on money they could otherwise be collecting because they either fail to register their songs properly, or they haven’t registered at all with the appropriate agencies that collect and pay out these royalties. Are you properly registered with these four services? If not, you’re probably missing out on money you deserve! Performing rights organizations (PROs) collect performance royalties, which are royalties paid when musical compositions (not sound recordings) are played on terrestrial radio, digital radio, streamed online, heard on television, played in a live performance, or played in a public place like a bar or restaurant. If you aren’t registered properly or at all with a PRO, you won’t be getting paid for any of these uses of your music. Songwriters need to register in three ways for a complete registration: as a writer, as a publisher, and for the individual compositions. Before elaborating on the necessities of registration, it’s important to note that performance royalties owed for a particular person’s contribution to a composition are split 50/50 between the writer and the publisher, known as the “writer’s share” and the “publisher’s share” respectively. Writer: Every songwriter needs to register as a writer with a PRO in order to get paid the “writer’s share” of performance royalties, which is paid directly to the writer from the PRO. Writers can only register with one PRO at a time (not all three), although if you aren’t happy with your chosen PRO, there’s usually an opportunity to change your affiliation at a later date. Publisher: If you aren’t signed with a music publisher, then you’re actually your own publisher, and you need to also register as such with the same performance rights organization to which you are registered as a writer in order to get paid the “publisher’s share” of performance royalties, which is paid by the PRO to the publisher of the composition. If you’re a songwriter who’s already signed with a publisher, you may not need to register as a publisher depending on your type of publishing deal. Individual compositions: You have to register each individual composition that you write with your PRO. If you don’t register your compositions, your PRO will not pay performance royalties on those compositions because those compositions won’t be in the PRO’s database, and the PRO won’t know who’s supposed to be paid for those compositions. When it comes to copyrights and the practice of the music business, sound recordings are treated separately from musical compositions. In the United States, there’s currently only a performance royalty for sound recordings for digital performances, which are for uses like satellite radio and internet streaming. Registering for SoundExchange is free and will make sure you are receiving royalties when your recordings are streamed or otherwise digitally performed. As with compositions, it’s imperative that you register your individual sound recordings so that the recordings and the payment designee can both be recognized. If you’re a self-released artist who doesn’t write with anyone else, you’ll essentially be paying sales and download mechanical royalties to yourself, but it’s still important to register with Harry Fox to collect the other mechanical payments. If you have a relationship with a label or anyone else releasing your music (including co-writers where a song you contributed to as a writer appears on other artists’ albums), registration is important to collect all mechanical payments. If you don’t register and you aren’t diligent about collecting your mechanical royalties yourself, you’ll be missing out on income that could add up over time. If you need assistance with signing up for these services, contact a music lawyer or use a service like Indie Artist Resource. Signing up for these services is the basic start to getting your music career set up correctly. Don’t lose easy money — it could pay back big time down the road. 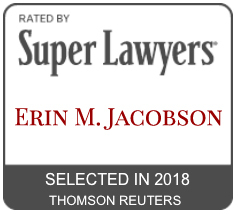 Erin M. Jacobson is a practicing music attorney, experienced deal negotiator, and seasoned advisor of intellectual property rights. Her clients range from Grammy and Emmy Award winners to independent artists, record labels, music publishers, and production companies. Ms. Jacobson also owns and oversees all operations for Indie Artist Resource, the independent musician’s resource for legal and business protection offering template contracts, consultations, and other services designed to meet the unique needs of independent musicians.